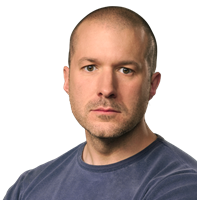 Jonathan Ive, the principle designer of Apple has been awarded with a knighthood in the United Kingdom. With knighthood he can now style himself Sir Jonathan. Ive, the London born designer worked very close with late Steve Jobs at Apple and he is behind the designs of almost all the beautiful products released by Apple – iPhone, iPad, iPod, iMac. He currently hold the title of Senior Vice President of Industrial Design at Apple and reports to CEO. I am keenly aware that I benefit from a wonderful tradition in the UK of designing and making. To be recognized with this honour is absolutely thrilling and I am both humbled and sincerely grateful. I discovered at an early age that all I’ve ever wanted to do is design. I feel enormously fortunate that I continue to be able to design and make products with a truly remarkable group of people here at Apple.